PSAR members filled a packed room this week at the East County Service Center in El Cajon to look into the future and hear “2019 Housing Market Outlook,” a presentation from Oscar Wei, senior economist, California Association of REALTORS® (C.A.R.). Wei told PSAR members that housing market conditions in California will continue soft in 2019 as prices remain flat and sales pull back throughout the year because buyers are expected to remain on the sidelines. Wei also said the interest rates, which recently dropped due to economic uncertainties, will eventually climb higher. In addition, if a second government shutdown occurs, similar to the recent 35-day partial shutdown which exacerbated partisan divisions, then the real estate market and U.S. economy could be negatively impacted. According to Wei, current market fundamentals, including positive job growth, income growth and household formation, are still solid even though sales are down double-digits despite recent declines in interest rates. Meanwhile, price growth remains near its lowest levels since early 2012. Still, a window of opportunity is currently open for buyers, he said. “Many buyers should buy now before interest rates climb higher in the near future,” said Wei. “Inventory levels are improving, yet a tight supply led to one third of sales closing above asking price in 2018. Fortunately, active listings increased for the ninth month in a row through November. Most recent buyers ended-up compromising in some way, either by paying a higher price for a smaller home than desired or living a farther distance from work or schools. The reasons why most buyers delay buying sooner include saving for a down payment, waiting for finances to improve and prices to stabilize or difficulty qualifying for a mortgage. 80 percent of recent buyers had been saving for buy for more than one year. The net cash gain to sellers of roughly $200,000 has been the highest since 2006. He said California cities are still not allowing construction of a sufficient supply of new homes: the California Department of Housing and Community Development projects that 180,000 new units are needed annually to keep up with demand. Wei also discussed local market activity. In Chula Vista, 1,589 homes sold in 2017, compared to 1,407 in 2018, a decline of 11.5 percent. In El Cajon, 1,162 homes sold in 2017, compared to 1,133 in 2018, a decline of 2.5 percent. In San Diego County, 7,412 homes sold in 2017, compared to 6,774 in 2018, a drop of 8.6 percent. The median price per city was as follows: Chula Vista -- $570,000 in 2017, $569,500 in 2018, a difference of 0.1 percent; El Cajon -- $530,000 in 2017, $575,000 in 2018, an increase of 8.5 percent; San Diego -- $640,000 in 2017, $695,000 in 2018, an improvement of 3.1 percent. Wei concluded his remarks by saying seven out of 10 Americans still believe that owning a home is an important part of the American dream, and 45 percent of home shoppers plan to purchase within the next five years. 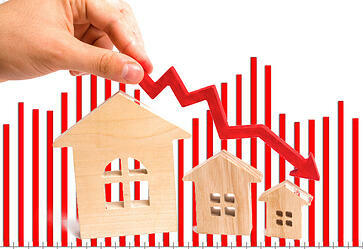 Below are a few links to go to for more statistical housing market resources. These resources are for Realtor members and will require a CAR login. Also, click here to view Oscar Wei's Presentation.